Ghosts are a funny thing. They can pop up when you least expect them, often stirring your soul with memories you thought were safely repressed. 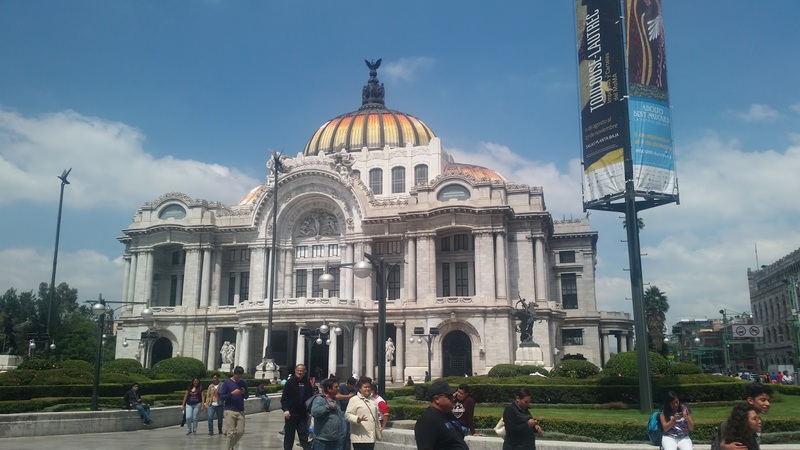 I happened to run into a few recently as I returned to Mexico City, the place where I was married, and later gave birth to, and raised my children - until I took them kicking and screaming to live in the US when they were teenagers. 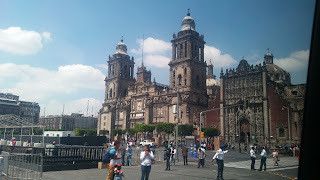 It's hard to believe that so many years have passed since I moved away and though I return once in awhile, I hadn't been back to the Mexican capital in a long time. 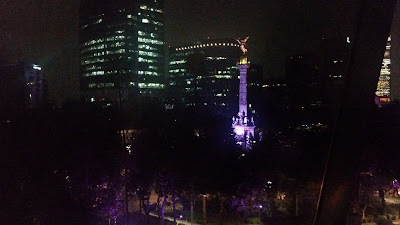 Perhaps I'm just more vulnerable on this trip, but as I sit in the posh Club Level in the recently refurbished Sheraton Mexico City Maria Isabel Hotel overlooking the iconic Angel de la Independencia (Angel of Independence), it feels as if I never left. 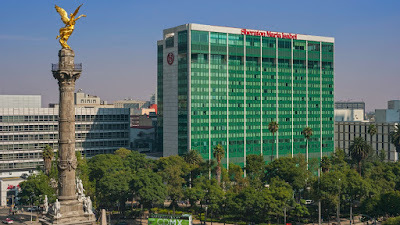 Sure, tall, sleek buildings have sprung up along the majestic Paseo de la Reforma, the traffic is much worse than before, and demonstrations are rampant but other than that, the vibe is the same and the customary warmth of its citizens is still palpable. 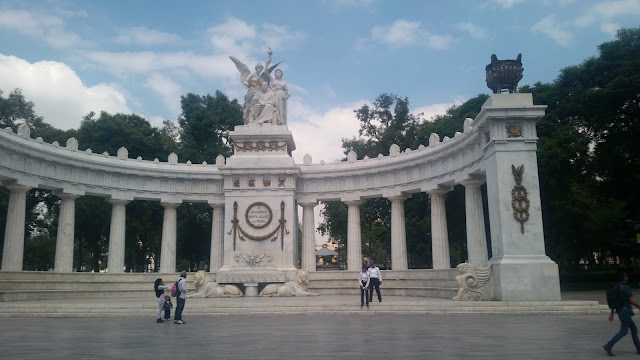 Around the Zócalo, (Plaza de la Constitución) the heart of the ancient Aztec Empire where colonial Mexico City was built on the rubble of their ancient temples, time has seemingly been frozen in place. I remember the excitement when the rubble of the Templo Mayor was accidentally discovered by electricians in 1978. It was like having a front-row view of history as it was being unwrapped. As I walk past the recently refurbished 16th-century Metropolitan Cathedral, the sweet smell of roasting chestnuts fills the air. 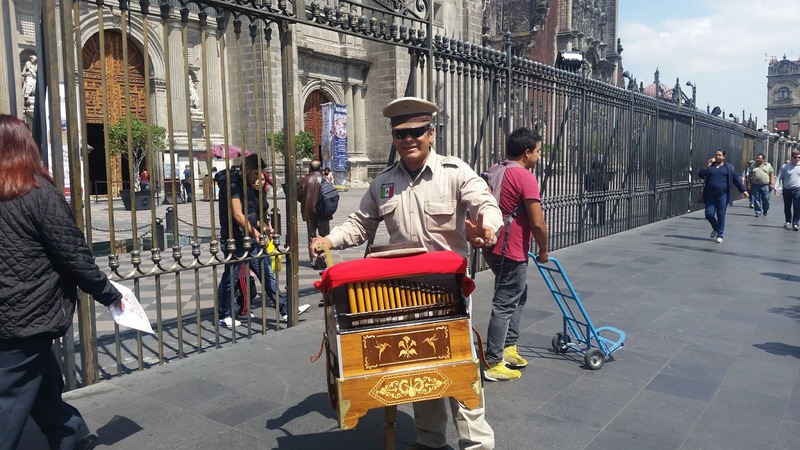 I’m happy to find the familiar organ grinder – a little grayer than the last time I saw him - entertaining people as he’s done for years in that same spot. 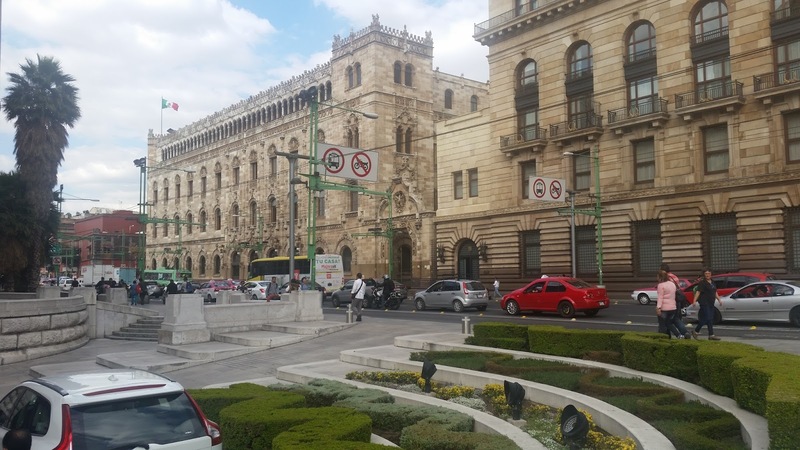 The Zócalo, the scene of the upcoming Independence Day festivities is already festooned with flags, flowers and red, white and green lights. Puestos (stalls) will be set up and vendors will be hawking confetti, whistles, horns, paper-machete helmets and red, white and green toys. At 11 p.m., on September 15 the huge throng gathered there will be silenced as the President of Mexico steps out onto the balcony of the Presidential Palace, ringing the historic liberty bell, giving the "Grito de Dolores." As he shouts the traditional, "Viva Mexico," "Viva la Independencia," the crowd echoes each time with "Viva!" as streamers, colorful confetti and roaring rockets fill the air. Lunch at El Mayor Restaurant - opened after I left – provides me with the necessary blend of traditional Mexican comfort food with a European “twist,” and a respite from my emotional tour. Located on the north side of the Zócalo, the restaurant’s elevated terrace affords the perfect perch from which to digest the footsteps from the past scattered below me. It seems as if time has stood still as I walk around the narrow streets of the Centro Historico, past the venerable Correo Mayor (Post Office), which is still in use, and across to the majestic Palacio de Bellas Artes. Part art nouveau, part art deco, and almost completely built of Carrera marble, it was begun in 1904 by the Italian architect Adamo Boari, and finally completed in 1934 by Mexican Federico Mariscal. Just steps from that majestic masterpiece, the iconic Sanborn’s Casa de los Azulejos (House of Tiles) sits in silent testimony to the past. According to legend, this was the palace of the Counts of Valle de Orizaba in the 18th century. One of the sons, considered to be a ne’er do well by his father, was told: “You will never have a house of tiles,” that is, “You will never accomplish anything.” Contrary to his father’s prediction, the son became very wealthy and had every square inch of the façade covered with white and blue tiles. Since the beginning of the 20th century, this handsome building has been part of the Sanborn’s restaurant and department store chain and is popular with locals and tourists alike. 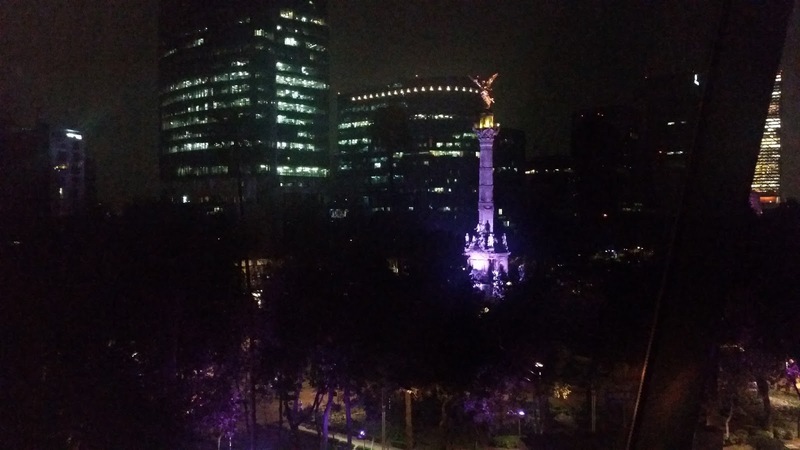 I feel as if a comfortable blanket has been softly wrapped around me as I stroll along the majestic Paseo de la Reforma back to the welcoming comfort of my hotel. Along the way, so many memories flood my mind as I remember the younger, slimmer “Me” moving quickly through those streets as I did so often back then, oblivious to everything but the "moment." In a way, it’s very hard to return and I have mixed emotions about being here – mainly because it’s a reminder of how fleeting time is …. and how quickly things can change. I so enjoyed this very personal memoir of a city which we've enjoyed - thank you! Thank you so much for your comment. As you can see, it's very dear to my heart! We would really love to visit Mexico City. It is such a vibrant metropolis, and you have done a great job showcasing some new perspectives. The photos are enchanting, and really create a desire to see it in person. Thanks for sharing. Thank you so much! It's a very special place and you're going to love it when you visit. If you need any tips, just let me know. 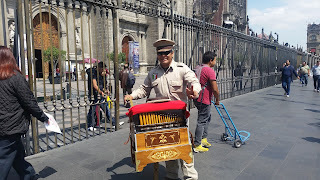 I would love to return to Mexico City and continue to explore. I only had time to explore Polanco and loved it. Thx for sharing your memories. You really must return. It's an amazing city and, as you can see, very dear to my heart. It's probably just a legend, but I think it's a good one! Thanks for sharing that clip! I'm reading this after the earthquake that affected Mexico City today. 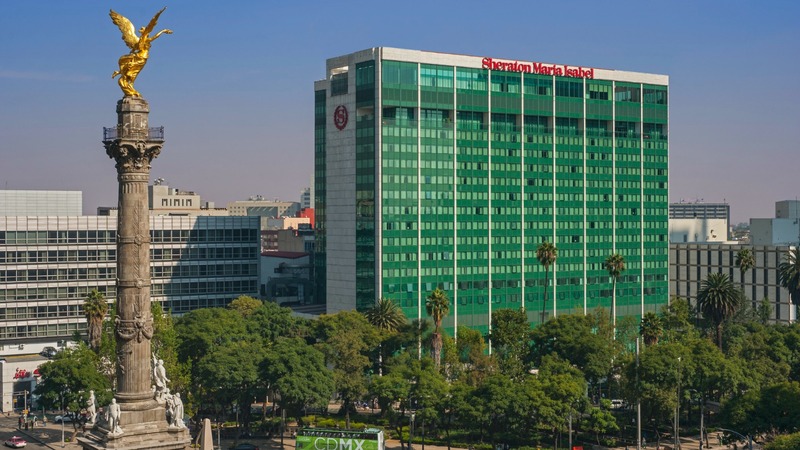 My first visit to Mexico City was as a child of 9 in 1963, during the year we lived in San Miguel de Allende. When I returned for the first time in 2012, I loved visiting the Templo Mayor museum next to the cathedral. Mexico is like an onion. So many layers. In 1963, I never imagined that one day I would have two sons and one of them would move to Mexico City. You are so right! I was living there during the Big One in 1985 and it breaks my heart that they're going through this. Apparently the '85 one was much worse but from what I've been seeing on TV this one was really bad. I hope that your son is OK!